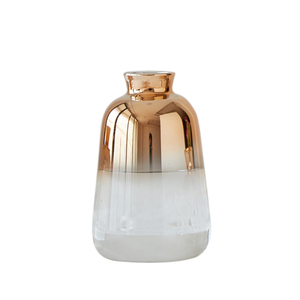 This fine crystal flower vase incredible quality announces itself upon first glance. It will add sparkle and elegant to your reception table or dessert bar decor. We sincerely hope to enter business with the clients from all over the world. 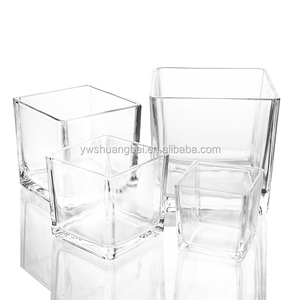 3 YRS Qingdao Ritz Glass Decor Co., Ltd.
Main product have glass cup, Wine glasses, Fish tank, Vases, Candle holder, Ashtry and so on . We aim to be your one stop glass ware supplier . Your sample fee must will be refunded to your bulk order cost. 1 YRS Liaoning New Fashion Co., Ltd.
2 YRS Qingdao Sea By Sky Imports & Exports Co., Ltd.
6 YRS Beijing Sheng Jing International Trading Co., Ltd.
1 YRS Cangzhou Bingo International Trade Co., Ltd.
1 YRS Xuzhou Zhuoran Glass Products Co., Ltd. 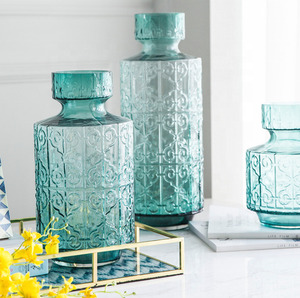 Put your favourite flowers into these vases and share them with your friends and familes. 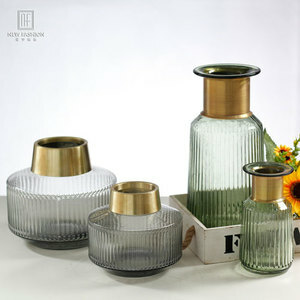 Our factory is specialized in drinkware, serveware and home decor glass items. W e provide competitive price and best quality products in the same line of bussiness. 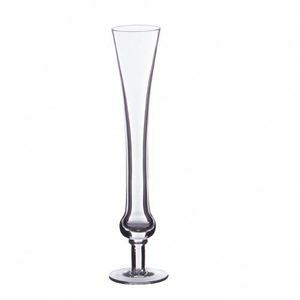 4 YRS Nantong Shengdong Import And Export Co., Ltd.
,Ltd has doing the glasses since 1992 , it is an experienced the glassware exporter for 25 years . 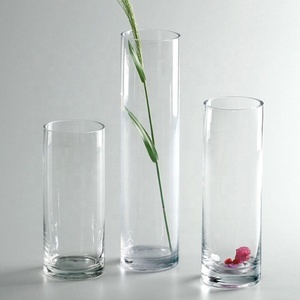 ,Ltd has doing the glasses since 1992 , it is an experienced the glassware exporter for 15 years . We provide attractive products for kinds of glass gifts for all holidays , birthday, anniversary days etc. 12 YRS Shanghai Family Industry Development Co., Ltd.
To guarantee the quality consistency, we'll have our QC stay in the factories when they produce for us. Also we supplied Waterford with glass ornaments for X'mas for many years. More details at With the Trade assurance, it's a better way to start the business between us. 3.Price: 0.5usd -20usd per piece,depends on the shapes/size/quantity. 6.Promise: Any broken pieces,we will deduct the value to your next order. 5. About order Welcome to order online to use Alibaba Trade Assurance. 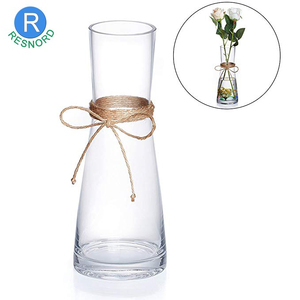 Alibaba.com offers 139,697 vases flower products. About 57% of these are flower pots & planters, 13% are glass & crystal vases, and 8% are ceramic & porcelain vases. 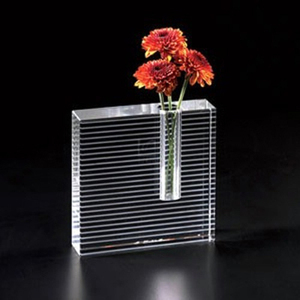 A wide variety of vases flower options are available to you, such as glass, plastic, and crystal. You can also choose from red, blue, and gold. As well as from free samples, paid samples. There are 139,697 vases flower suppliers, mainly located in Asia. 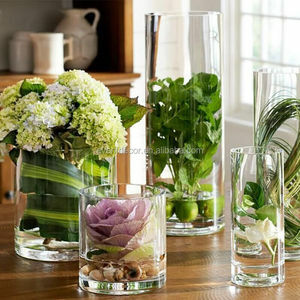 The top supplying country is China (Mainland), which supply 100% of vases flower respectively. 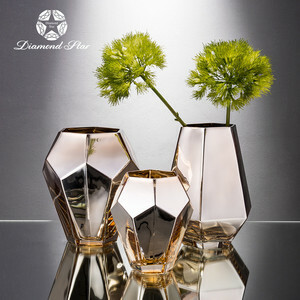 Vases flower products are most popular in North America, Western Europe, and Domestic Market. You can ensure product safety by selecting from certified suppliers, including 19,511 with Other, 15,556 with ISO9001, and 8,714 with BSCI certification.